2. 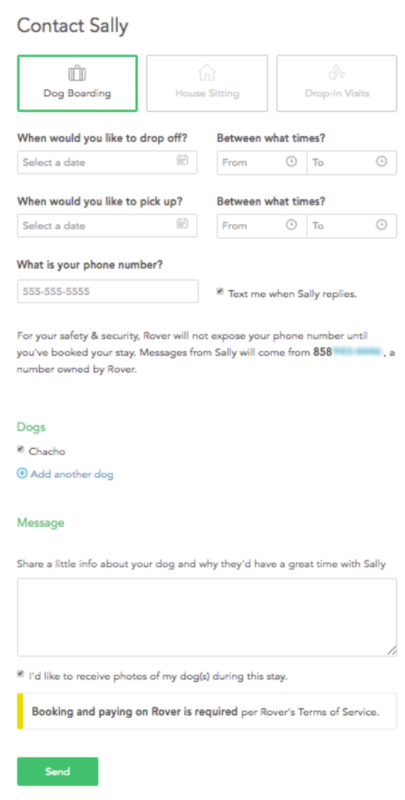 Scroll down to Rebook and locate the sitter or dog walker you’d like to book with. Select Rebook. 3. This will take you to the sitter’s profile, where a pop-up screen will appear. Fill in the details for your next booking and select Send. 5. Your request will then be sent to your sitter. You’re all set! 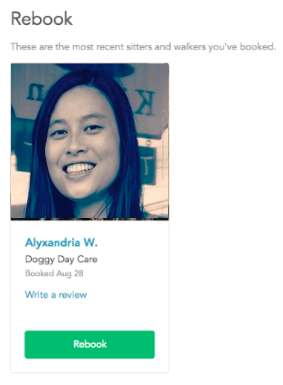 For more details on going from request to booked service, check out this article on how to book with a sitter.